Future Pass explores the relationship between the creative energy of contemporary art in Asia and the rest of the world. The exhibition responds to the general theme of the 54th International Art Exhibition in Venice, presenting not only an artistic “nation” that transcends national boundaries, but also a new artistic universe centered in Asia. Future Pass has been structured around a series of dichotomous pairs, beginning with the dyad that lies at the very root of ancient Chinese philosophy – the concept of “yin” and “yang,” the idea that opposites complement each other. Yin and yang, male and female, lightness and darkness are interdependent; they have a shared origin. One cannot exist without the other, and each can transform into its opposite. The same law applies to the other concepts around which Future Pass is organized: East/West, Past/Future, Yin/Yang, Universal/Individual (all exhibited at the Abbazia di San Gregorio), Virtual/Real and Cosplay (exhibited at the Palazzo Mangilli-Valmarana). While these concepts may seem dichotomous, they are brought to resolution in each work of art on display. Future Pass is a meeting of different cultures, ages and personalities. Cosmopolitan Venice, historically an empire of travellers, is the perfect site for it. In its two venues, the exhibition brings together 106 artists and artistic groups from every corner of the world – some already well known, others up and coming. Their works employ a variety of media – from painting, interactive installation, animation and video to sculpture, live performance and body art -, defying any attempt to classify them. Future Pass also involves a dynamic confrontation with the past. 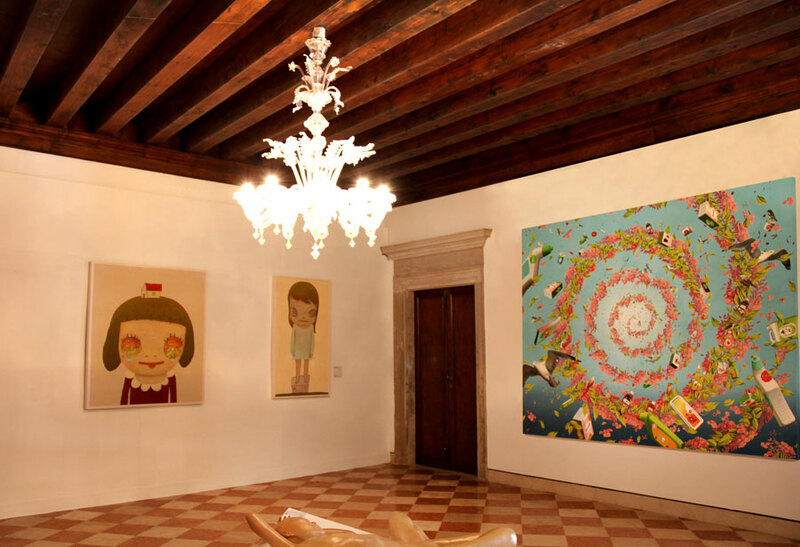 These contemporary artworks interact with, and sometimes almost seamlessly blend into, the historic buildings in which they are installed – the 14th-century Abbazia di San Gregorio and the 18th-century Palazzo Mangilli-Valmarana, which serve as the headquarters of the Fondazione Claudio Buziol -, offering new possibilities of interpretation for both the past and the future. On the evening of the opening there will be an event dedicated to cosplay, hosted by the senior Italian cosplayer Giorgia Vecchini. This combination of costume and play seeks to blend the virtual with the real, the imaginary personae created in the worlds of computer games and anime with the physical world of the here and now, the space of the exhibition with the bodies of the performers. After the 54th International Art Exhibition in Venice, Future Pass will travel to the Wereldmuseum in Rotterdam in December 2011 and to the National Taiwan Museum of Fine Arts in Taichung with the 1st International Cosplay Competition in Taoyuan and the Today Art Museum in Beijing in 2012. A special collection of artworks from Future Pass will also be exhibited by the Streaming Museum, a new public art hybrid museum for the 21st century that brings contemporary arts programming to global audiences via screens on seven continents and online at streamingmuseum.org.